If given the choice between receiving more “stuff” and enjoying an experience, 79% of Americans say they’d take the experience every time. The world has changed, and rather than trying to keep up with the Jones’, more people are shifting to living their best lives! If you’re wishing to give a meaningful gift this holiday season, you may want to consider giving a gift that your friends or family will be talking about…. FOREVER. 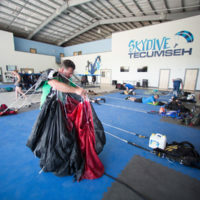 Skydive Tecumseh is excited to launch our best Black Friday Sales promotion in our history! Two great offers at an incredibly low price! 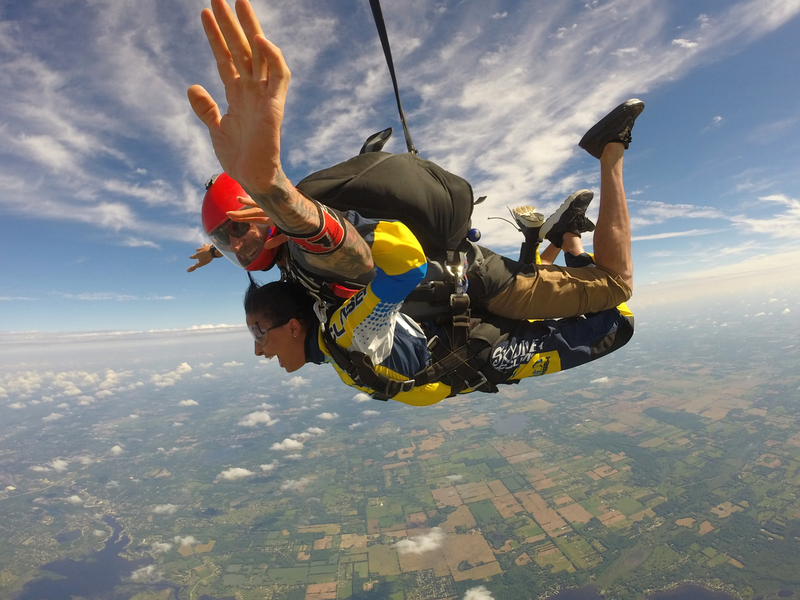 Beginning on Friday, November 23rd and running through November 26th (while supplies last*), we will be offering gift certificates for 9,000’ and 14,000’ tandem skydives. Save $50 on the 9,000’ option or $60 on the 14,000’ option. 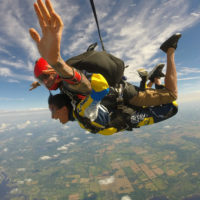 Don’t miss this great opportunity to go skydiving at the #1 skydiving center in Michigan for much less! Guests cannot weigh more than 230lbs. You must sign a legal waiver of rights in order to participate. 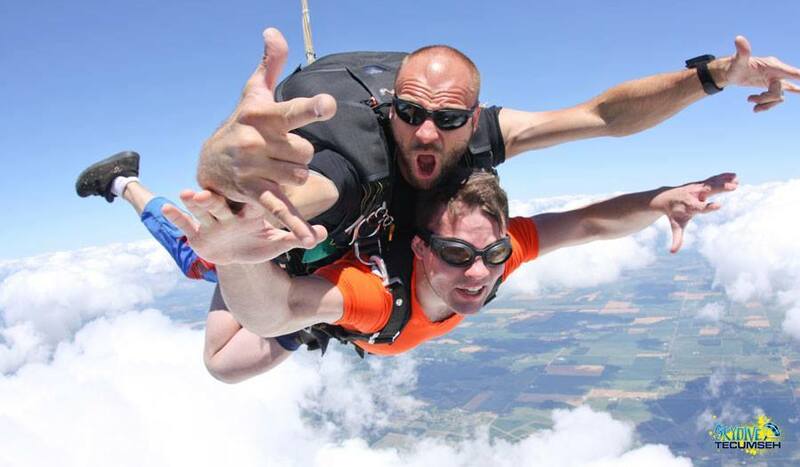 Promotional Value (1 tandem skydive) can be redeemed during our 2019 season only. No one needs more stuff! Give the gift of a life-changing experience! 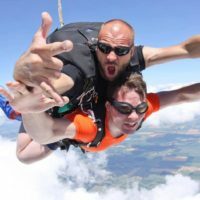 The heroes of every skydiving operation – the packers! 5 Reasons This Black Friday Offer Is So Good! Great offers like this don’t come around every day, but there are few details about this Black Friday Promotion that make this particularly great! This sounds like we’re tooting our own horn, but we don’t mean to sound overconfident! 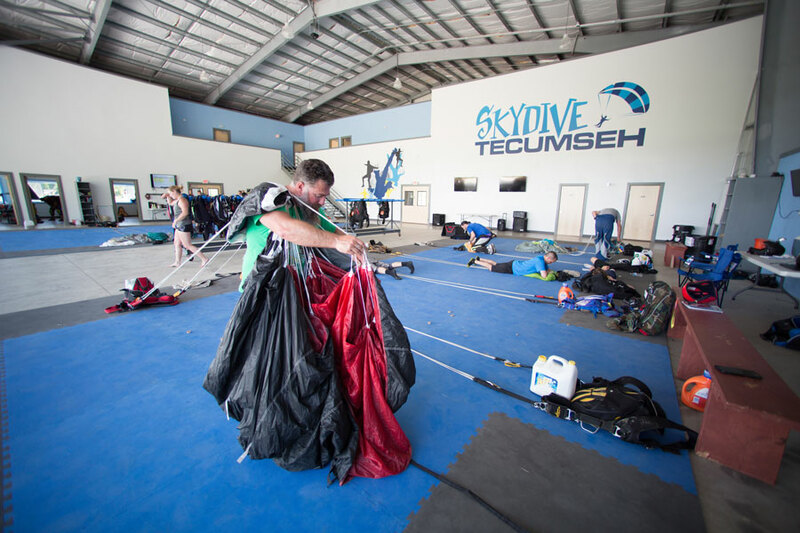 2018 was a huge year for us as we upgraded our facilities to a first class operation being heralded as one of the nicest skydiving operations in the US with a spacious landing area and a brand spanking new facility! 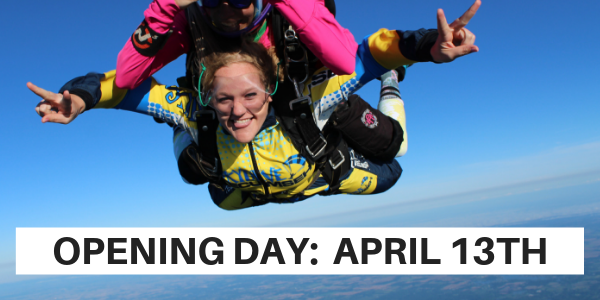 This year, we’re offering two promotions to meet the needs of every skydiver’s budget. A 9’000’ option or a 14,000’ option. We’re close to everything! 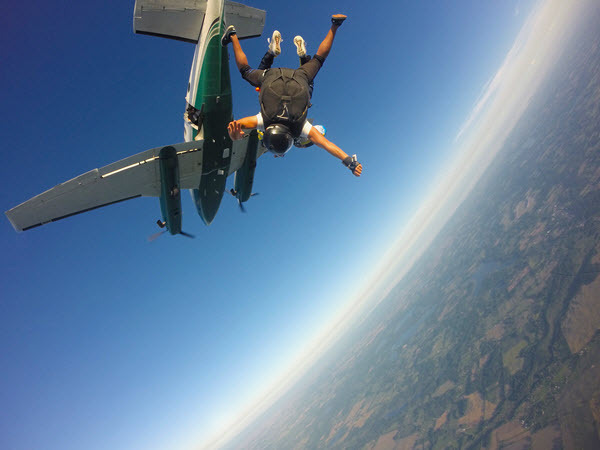 Skydive Tecumseh serves Detroit and Ann Arbor to the east, Lansing to our north, Kalamazoo to our west and we even see many guests from Fort Wayne to our south. We’re in the center of it all! 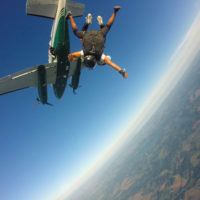 Skydive Tecumseh has been in operation for more than 50 years and we’re well reviewed (check out our Google Reviews). We are known for our approach to safety and customer service. 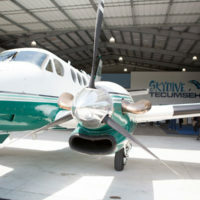 Reason 5: Our incredible aircraft. 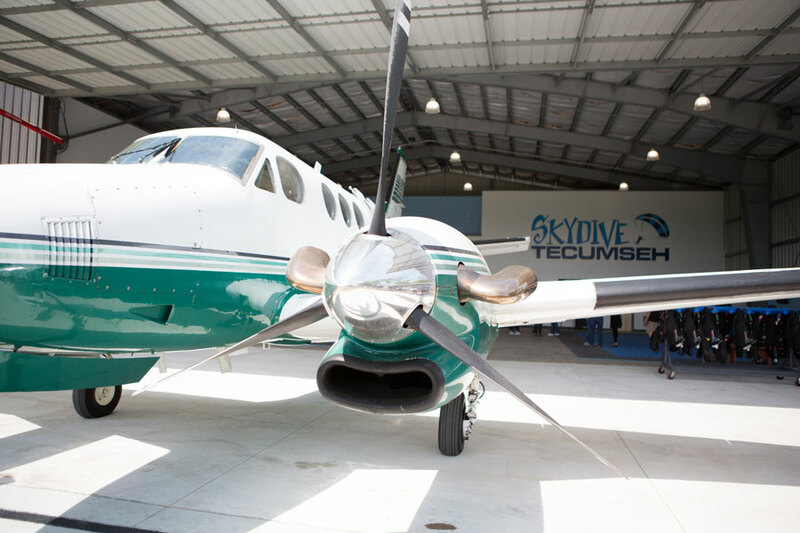 Skydive Tecumseh proudly flies a King Air – the fastest aircraft in the business and best of all, it’s a multi-engine (two engines are better than one!). We hope you’ll consider joining us in 2019!! !